This morning it was reported that between May 5 and June 9, 2,342 immigrant children were separated from their parents at the U.S.-Mexico border. And the number is continuing to grow. Kirstjen Nielsen of the Department of Homeland Security tweeted on Sunday that, despite evidence to the contrary, DHS does “not have a policy of separating families at the border. Period.” When he isn’t repeatedly tweeting the phrase “WITCH HUNT” or planning the next #MAGA rally, Trump is blaming the Democrats. 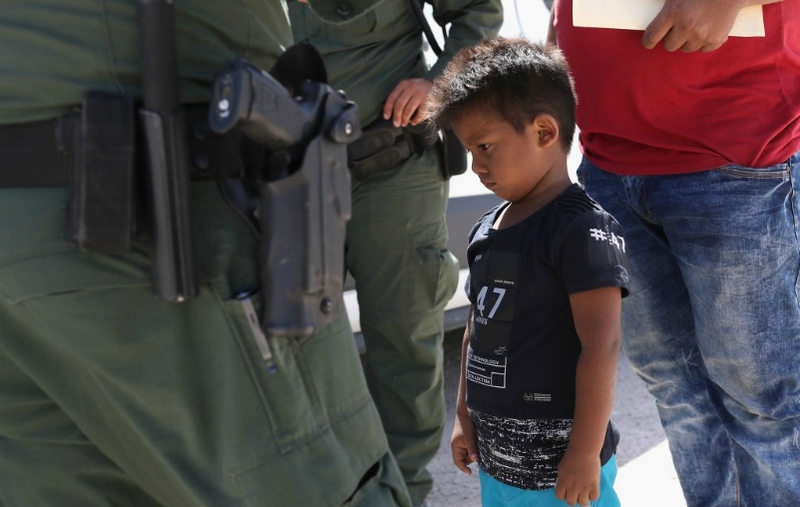 And, meanwhile, it’s being reported that Santa Monica’s own Stephen Miller has already taken credit for concocting the “zero-tolerance” strategy. Waking up to the daily barrage of images and audio of terrified, inconsolable children in chainlink cages crying for their parents has left a lot of people feeling sad and helpless. But organizations like the ACLU are asking that we all shake it off and take action. If you missed the Families Belong Together March in MacArthur Park on June 14, there’s another planned for July 21. In the meantime, here are some more things you can do. The ACLU has a click-to-call function that auto dials Senate officials on your behalf, and their site features a script you can use once you have a staffer on the phone. If you don’t feel like waiting till July 21 to demonstrate, organize your own event, big or small. It looks like another big demonstration is being planned for June 30 in DTLA to coincide with MoveOn.org’s national day of action on June 30, but nothing’s stopping you from creating a Facebook event page and organizing an action. For instance, on Wednesday, June 20 (4-6 p.m.) and Saturday, June 23 (10 a.m.-1 p.m.) adults and kids are gathering at UCB Sunset to write letters of comfort to detained children, which will be sent along with donated teddy bears. If you can’t be there, you can send letters and stuffed animals before July 4 to: Operation Comfort, 4470 W. Sunset Blvd., P.O. Box #217, Los Angeles, CA, 90027. The ACLU’s petition asking that Homeland Security end the “vicious and inhumane” practice of separating children from their parents currently has upward of 150k signatures, and is seeking at least 50k more. An organization called Refugee and Immigrant Center for Education and Legal Services (RAICES) is collecting donations to help bail parents out of ICE facilities so they can claim their children. As their site explains, “Parents separated from their children at the border (and other immigrants placed in detention) can’t get released from ICE custody to reunite with their families until they pay the full amount of their immigration bond. Bonds are set at a minimum of $1,500 and are usually in the range of $5-10k, even for asylum seekers without any criminal history.” Their goal is currently $3 million and you can help.